Attorney Randall G. Leece is a partner in the firm, which was founded in 1994. Mr. Leece began practice in Elkhorn in 1977 upon graduation from Marquette Law School, developing a practice emphasizing in civil litigation, commercial and residential real estate contracts, estate planning, general business transactions and family law. His extensive career has included a successful litigation practice dealing with a wide range of complex real estate issues. Attorney Leece is presently focusing his practice primarily on real estate transactions and estate planning. As a resident of Walworth County since 1977, Attorney Leece has maintained an active role in the community. He is a past President of the Walworth County Bar Association, past Chairman of the Walworth County Chapter of the American Cancer Society, Board member and President of the Elkhorn Chamber of Commerce and President of the Fontana-Walworth Rotary Club. Mr. Leece has also served on the Southern Unit Board of Directors of Aurora Health Care and been Chairman of the Board of Directors of a Southern Wisconsin Church Retreat Camp. He is a former member of the Elkhorn Police and Fire Commission, and has been active in the Elkhorn Youth Soccer Program. Attorney Leece graduated with honors from Concordia College in 1974 with a major in economics and political science. 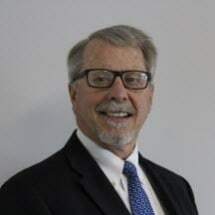 He received his law degree from Marquette in May of 1977 and has since that time been licensed to practice law in the Federal Courts of both the Western and Eastern District of Wisconsin, as well as all Wisconsin State Courts.